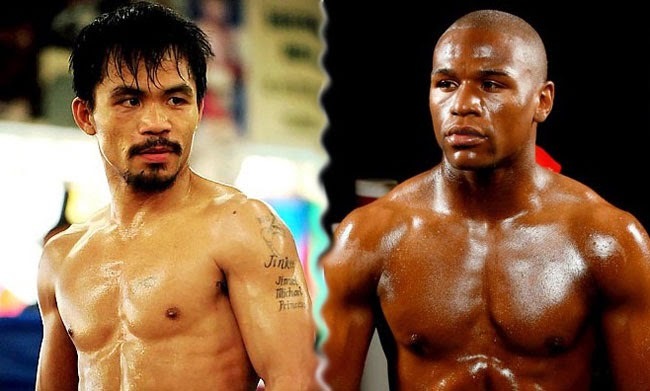 The venue for the most awaited mega fight between Manny Pacquiao and Floyd Mayweather Jr had finally been set between the two camps and many had considered this as a big progress since many had been anticipating the fight for some years already. LA Times’ Lance Pugmire had reported that both camps had reached an agreement on the venue and the drug testing. The mega fight might reach to a staggering total of $300 million as it is no secret on how many boxing fans are excited to see the fight of the two of the best boxers in the world. The venue of the anticipated fight was set in MGM Grand Garden Arena. The drug testing protocol was said to be done in Olympic style. As it can be remembered, drug testing had been one of the reasons why the two sides did not agree on the fight a few years back. Among the things that are still yet to be talked about and agreed are the purse split and date of the fight. It had been Pacquiao who publicly announced that he will be willing to have the lesser cut just to make the fight into a realization. Mayweather had first shared that he wanted the fight to be on May 2, the weekend of the Cinco de Mayo. At first Bob Arum had been reluctant to agree but the date is still under negotiation. The two parties were given less than 10 days to finally decide on the details of the fight to give time for promotion. Freddie Roach had shared that the fight is on its way to reality. Boxing fans are voicing their excitement as well. The mega fight had been talked about for years and soon the two boxers will retire, making time shorter for them to decide.